CanIRank is ideal for consultants and marketers looking to increase the ROI of their SEO and content marketing activities. Our customers include top agencies and some of today's most skilled SEO practitioners, but beginners can be quickly brought up to speed with our free SEO video tutorials and knowledge base. Whether novice or expert, DIY or Full Service, the common thread we all share is a belief that data collection and analysis is a task best suited to computers, and that by leveraging modern machine learning techniques we can make better decisions and free up time for the more creative and rewarding aspects of online marketing. What can you do with CanIRank? Which keywords should you add to your content to improve topic relevancy? AngelPad-funded Fieldwire had a winning product but no in-house resources to grow their traffic. CanIRank provided the perfect solution by helping them seamlessly transition from DIY software to Full Service agency as their company grew. Following CanIRank’s optimization recommendations, the Fieldwire team started seeing ranking increases within the first 2 weeks. After moving to a Full Service plan their traffic skyrocketed 853% in just a few months. CanIRank’s team also helped revamp the site’s information architecture and landed more press coverage than Fieldwire’s dedicated PR agency (which charged 25 times as much). CanIRank gives you exactly what you need to achieve laser-focused SEO. It breaks down the process in steps that allows you to see measurable return on your efforts within weeks. It’s an essential part of our marketing stack now. As a new startup in a competitive market, PDF Pro came to us with almost no organic search traffic, a limited budget, and domain authority too low to compete against the entrenched players dominating the rankings. In 6 months CanIRank Full Service added over 5,000 new rankings in Google.com, increasing total traffic by a factor of 200. CanIRank’s team also earned PDF Pro coverage in USA Today, Inc, Business2Community, and PCAdvisor, landed a number of blogger reviews, and helped optimize and add additional content to the website. and focus on our technology. New ecommerce stores often have a tough time competing against Amazon, WalMart, Ebay, and other large incumbents with exponentially larger budgets and household name recognition. To keep the traffic flowing, smaller ecommerce websites often turn to Google AdWords, and soon all of their profits are going to Google. CanIRank helped specialty clock retailer Bavarian Clockworks find a way out of this trap using free organic SEO traffic. Most SEO agencies tell you what you want to hear. CanIRank told us what we needed to hear. They have been a key partner, consistently delivering on promises and helping us achieve an excellent ROI. CanIRank has given me a lot of comfort and confidence; I understand what I need to be doing and why, so when I work on the site it's with the expectation of more business rather than blind hope. When you're a small business, it can sometimes seem impossible to outrank megasites like Amazon, eBay, or About.com: they have literally millions of inbound links with more pouring in every day, not to mention constant press coverage, advertising, brand recognition, and the best SEO experts money can buy. But none of that stopped YogaDVDs.net, a small review blog written by a yoga instructor from Indiana, from using CanIRank to nab top rankings away from the behemoths for hundreds of valuable yoga-related terms like "yoga DVDs", "yoga DVD review", "best Yoga DVDs", and even specific products like "Tara Stiles yoga DVD" or "Barbara Benagh yoga". How did YogaDVDs.net do it? By using CanIRank to find the chink in the giant's armor: low Website Relevancy and mediocre Page Relevancy. 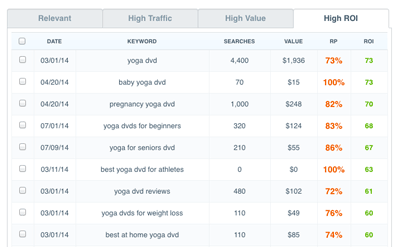 To slay the giants, they first analyzed dozens of keywords to find which ones were least competitive, and started building up their traffic by ranking for long tail terms like "hatha yoga DVDs", "best intermediate yoga DVD", and "yoga dvds for weight loss". Those may not be headline terms, but the highly-targeted traffic converted well to sales, and the topical content helped YogaDVDs.net establish very strong Website Relevancy. Finally, when they had a bit of authority built up to start going after fat head terms like "yoga DVD", they used CanIRank's On Page Relevancy tool to make sure their content outscored the megasites, earning them high rankings with only a fraction of the links. If you don’t want to spend thousands of dollars a month hiring an SEO "expert" who may or may not deliver results, CanIRank is an incredible DIY option that actually works. The system gives you the exact steps to follow, in very clear instructions, to improve your keyword rankings over time. Highly recommended! I have not only gained a much greater understanding of how SEO works, but I have seen the success of my website grow far faster than ever imagined thanks to CanIRank. By using more ranking factors (200+) than the usual manual or automated methods, CanIRank gives you the most accurate readout I've seen regarding your chances of ranking new and proposed pages. Plus, it's fun!" SEO can be boring, but CanIRank's system shows me enough different methods that I can jump from successful strategy to successful strategy, making SEO fun again! There is simply no better way to spend your money as a startup if you want to crush it on SEO! What can CanIRank's SEO Intelligence do for your website? You wouldn't trust a Doctor who prescribes a cure before taking the time to understand what's wrong, and you shouldn't trust SEOs who act without understanding either. Under the "What do I need to improve?" 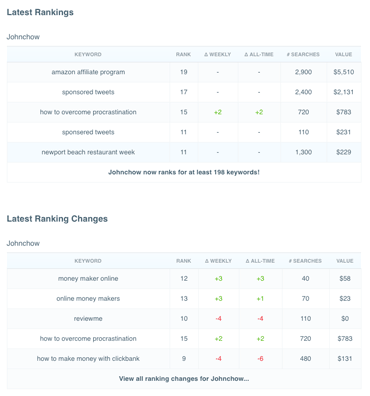 section of the CanIRank Report you'll see how your site compares to current rankers in each of the major ranking factor categories. We also highlight specific Issues— weaknesses that you'll need to fix in order to become more competitive. Issues are scored according to how important that Ranking Factor is, and how far below the typical ranker your site is. 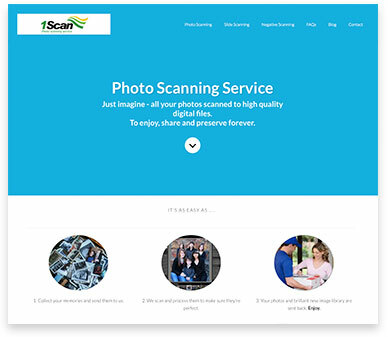 For maximum efficiency with you SEO work, start working on the highest-scoring Issues. 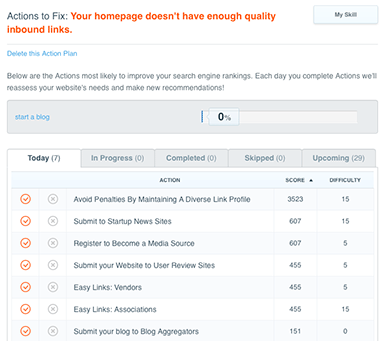 If you're not sure how to improve a certain Ranking Factor, just click "Fix" and CanIRank will generate an Action Plan helping you to address that weakness. A well-targeted niche site can be a great way for internet marketers or anyone else with a little SEO knowledge to create an additional income stream. Niche sites take relatively little effort to setup (and much of that can be outsourced), and they're easily monetized via Google AdSense, Amazon, or other affiliate programs. Sites like SmartPassiveIncome provide a good introduction to building niche sites. Every would-be niche site tycoon soon learns that choosing the right niche is the key ingredient to success. Choose a niche that's too competitive, and your site will rank too low to get any clicks. Choose a niche that's too small, and you won't get enough traffic or advertising revenue. Before CanIRank, internet marketers were stuck with primitive keyword difficulty tools like Market Samurai or Long Tail Pro which only consider a handful of factors with dubious accuracy. 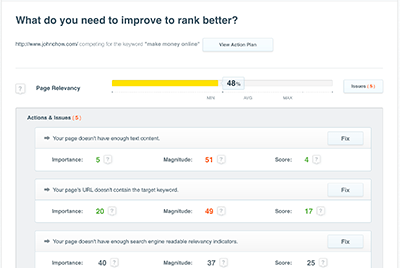 In contrast, CanIRank is not only more accurate in assessing a keyword's difficulty, it also gives you a ton of actionable information about the competition so you can see specifically what it would take to rank. Here's how to use CanIRank to find new niche opportunities: first, choose a representative URL, like one of your other niche sites, or another small site that you know you can match (it doesn't have to be in the same topic area). Most internet marketers use a pretty similar process for niche site building— they use a handful of techniques for getting links, add about the same quantity and quality of content, and sometimes even give every site the same look. With a repeatable process, I can use my site about "Goldfish Training Secrets" as a representative URL to see if my techniques would suffice to compete in a totally different niche, like "herbal cat allergy remedies". CanIRank will give me a highly accurate Ranking Probability, the expected volume and value of traffic for "herbal cat allergy remedies", and a Keyword ROI score that assesses the balance of value and difficulty. If I do decide to target that niche, CanIRank can help me be more efficient in my niche site building process by showing me what it will take to compete: I'll know how many links my competitors have, where they got their links, how well they're targeting the keyword, and even which related words I might want to include on my page. By using CanIRank to manage your client work, you'll automatically receive weekly Campaign Progress and Website Progress emails which effectively address each of these concerns. First, there's a list of all the Actions you've completed, so the clients can see that you've been hard at work. Each Action is linked to a full description in the CanIRank knowledge base which explains why the Action is important to search engine rankings, and what exactly it entails. The "Traffic Machine" is an escalating spiral of SEO and content marketing goodness. It works like this: once your website has reached a certain level of Website Strength and Website Relevancy, you'll be able to rank for low competition keywords in your niche simply by creating a well-targeted page and pushing the page out to your social channels, email/ RSS subscribers, and existing readership. A portion of those readers will link and share your new content, which slightly increases your Website Strength and Website Relevancy. The new ranking will also gain you a marginal increase in site visitors, some of whom will become regular subscribers and followers. After a few cycles with low competition keywords your website now has a higher Website Strength and Website Relevancy, so you can rank for keywords that are a bit more competitive. And those new rankings will bring yet more traffic, links, and followers. This virtuous cycle continues as long as you are able to feed it with compelling content! 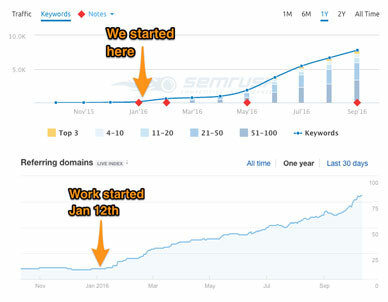 Getting the Traffic Machine started is easier than you think: most people fail because they start off targeting keywords that are too difficult, and since writing content that nobody reads isn't much fun, they soon give up. 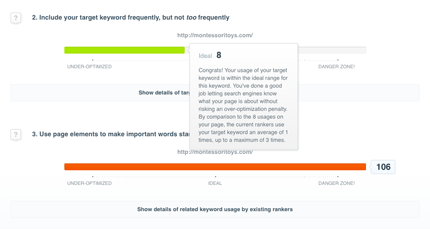 CanIRanks' Ranking Probability score helps you find keywords that you can rank for without a lot of link building or other promotional work: look for scores above 85-90%. If you aren't finding many keywords with scores in that range, chances are your website hasn't reached sufficient Website Strength and/or Website Relevancy yet. Look at the Competitive Analysis heatmap for a few of the keywords to determine which one is the culprit: you usually want to see your Website Strength and Website Relevancy right around the Ranker average in order for a keyword to be easy. Once you see where you're deficient, CanIRank can help you improve that too! Just click the "Fix" button next to any of the Issues in the Website Strength or Website Relevancy category and you'll get a number of recommendations for actions you can take to improve your website's competitiveness in those areas. Quick: a prospective customer is on the phone and they want to know how you can help them. Landing this client could be a game-changer for your SEO consulting business, so you better come up with something fast! As the introductions are being made you open CanIRank and run a report for their website and primary keyword. Glancing over the report, you immediately spot several issues. Compared to the top rankers, the prospect's site has much less thematic content related to the keyword topic. In addition, too many of their inbound links use unnatural anchor text, a risk factor for Google's Penguin algorithm. You download a beautiful full-color PDF of the report and send it to the prospect while he's still on the phone. Explaining the role of each of the Ranking Factors in the report, you recommend adding a new tutorials section to the site to boost their thematic content, along with a brand-building campaign to improve their link profile and rescue them from Penguin. The client is impressed: "Everyone else I spoke to spent the whole time pitching their link building services", he says. "But it's clear from the heat map in the report you sent that we already have more quality links than everybody else, so clearly something else must be preventing us from ranking. I appreciate you taking the time to explain the situation, and look forward to working with you!" Brainstorming usually works great to come up with a dozen or so possible keywords that meet these criteria, but what do you do when you've exhausted all those ideas? CanIRank can help by building a database of Keyword Ideas that grows every time you use the tool. We automatically look at keywords your competitors are ranking for, keywords the search engines consider related, and words that are semantically-related. Then we let you sort and filter all of those by Search Volume (terms your customers are looking for), Cost-Per-Click (terms that convert to a sale), and Ranking Probability (terms your site can rank for). You can also use our exclusive "Keyword ROI" metric to find the keywords that offer the best balance between value and difficulty specifically for your website. Many SEO consultants excel at one or two SEO strategies, and end up concentrating all of their work in those areas regardless of what a particular site needs. 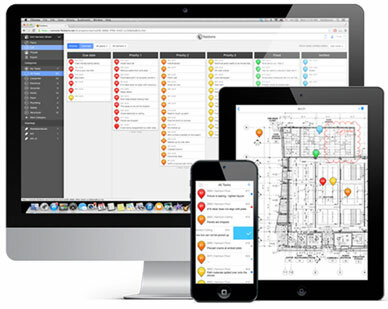 CanIRank's targeted Action Plans offer a compelling alternative. Each Action Plan is generated based upon the specific needs of the website, with priority given to Actions that will have the largest positive impact on the site's weaknesses, whether that's on-page SEO, website authority, or link anchor text. In addition, the Actions recommended are varied to ensure maximum diversity in link profile and reduce the risk of triggering a search engine penalty. Finally, the Action Plan is customized to the skill of the user: as you begin CanIRank will recommend Actions designed to teach best practices and avoid getting penalized by search engines. Once you've gained a bit of experience, the Actions become steadily more sophisticated to help you take your SEO work to the next level. 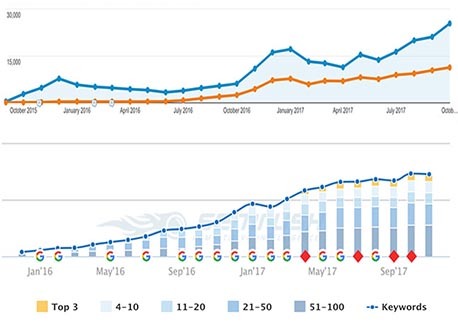 To help you achieve ideal Keyword Relevancy, CanIRank measures how your keyword usage compares to top-ranking results and gives you an at-a-glanc graph: "Under-optimized" means you're not giving search engines enough clues as to what your site is about. "Ideal" means your site has just the right amount of keyword usage. "Danger Zone!" means you're excessively repeating the keyword phrase and risking a search engine penalty. Finally, it's not just about how many times you use the keyword: good on-page SEO exploits the semantic nature of HTML to help search engines understand that some words are on your site are more important than others. We'll show you whether it's most effective to include the keyword in your title tag, headers, anchor text, bold, etc. Topic Relevancy provides context that helps search engines be certain your page is really about the keyword topic, and doesn't just happen to mention it. For example, a search engine expects a page about Java programming to include words like Oracle, computers, programming, and code, while a page about Java the island should include Indonesia, Javanese, jungle, and island, and a page about java the beverage may include hot, coffee, cafe, brew, and beans. If you're truly an expert on your subject and write full, rich content pages, Topic Relevancy should happen naturally. For everyone else, CanIRank can give you a little help, suggesting related terms and entities that top rankers frequently use, and showing you how your usage of related terms scores relative to the competition. 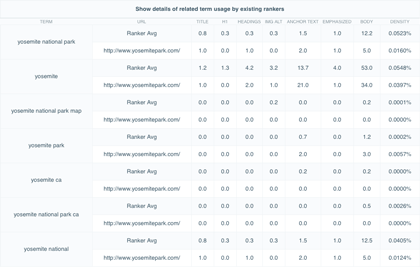 To help you avoid getting into trouble with Panda, CanIRank compares your page content to the competition, and includes Action Recommendations explaining how to fix any Panda-related issues with your site. An adventure travel company is launching a new guide service on Mt. Rainier, and wants to know which keywords they should target with their page title and other key on-page elements. 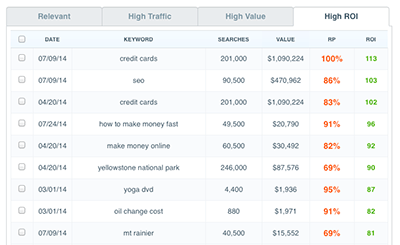 They use CanIRank to run a New Content report to see if a page on their site would be competitive for the keyword "Mt Rainier". CanIRank tells them a top ranking would be worth an additional 19,800 monthly visitors to their site, and save them a whopping $15,552 in PPC advertising costs. Those are tempting numbers, but unfortunately it looks like a top ranking won't come easy: their Ranking Probability score is only 54%. Both their Page Strength and their Website Relevancy are way below that of the current top rankers. They click the button to get suggestions for less competitive keywords and find several interesting alternatives: "how to climb Mt Rainier" is much less competitive but would deliver only 20 visitors, and "Mt Rainier expeditions" would be worth 30. Finally they see "Climb Mt. Rainier", worth 480 monthly visitors and $194/ month in ad costs, and their Ranking Probability is a respectable 76%. They decide to target this keyword with the new page. It looks like they'll need to improve their Page Strength and Website Relevancy to be competitive, so they also plan to boost those areas by featuring the new service on their home page and writing a series of blog posts with first-person accounts of successful Rainier climbs. You're in charge of online marketing at a major clothing brand, and though your website enjoys a stellar reputation and lots of link authority, it doesn't receive a lot of search traffic because most of the content is just regurgitated catalog descriptions that already exist on hundreds of other websites. You'd like to fix this by adding a new section to the site where fashion bloggers can contribute style advice, and need to make the business case to your boss. Firing up CanIRank, you enter a number of fashion-related keywords, select "New Content" report type, and enter the URLs of a few pages on your site at the same level in the hierarchy as the new style advice section will be. CanIRank tells you that some keywords, like "cocktail dresses" and "suits for business" are too challenging for your site, but others like "best travel shirt", "how to wear a scarf", and "resort cover-ups" should be obtainable. On the Keyword Ideas page, CanIRank has generated a number of additional related keywords, so you analyze those as well. Finally, you take all the keywords where CanIRank predicts a page on your site has a Ranking Probability above 80% (meaning that your page will have a very good chance of competing for that keyword) and add up the search volume and traffic value figures that CanIRank provides. Now you're able to present to management a projection showing that the new content section will add an additional 42,000 monthly visitors, saving the company about $25,000 over the alternative of buying that traffic via Google AdWords. Naturally your proposal is enthusiastically approved! When you begin work on the new section, you start with the highest scoring keywords to ensure that the new content starts pulling traffic from day 1. As each new page is added, you run an Existing Content report to see how to perfect the on-page optimization and address any weaknesses. "OK, I'll give it a try. But if we don't see results within a month or two I'm going elsewhere." No matter how many times you explain to clients that sustainable SEO is a long game, they still insist on seeing rankings quickly. The best solution I've found to this problem is to run through the entire ranking process on some low-hanging fruit— keywords you know the site will rank for quickly. This puts the client at ease that you actually know what you're doing, helps them understand your process, and gives top management the proof of concept they need to commit additional budget and technical resources to going after more challenging (and valuable) keywords. So, how to find the low-hanging fruit? You can use CanIRank's "New Content" report to see how competitive a typical page on your site would be for a certain keyword without even having to build a new page first. Look for a keyword with a Ranking Probability score above 90% and you'll know you've found one that the site will be able to rank for without much work. If you need ideas, try clicking the "Get suggestions for less competitive keywords" button. Suspect your site might be suffering from a Google penalty? You can use CanIRank to see if that's really the case, and identify some possible causes of the penalty. First, create Existing Content reports analyzing a few keywords you think your site would rank for if it weren't suffering from a penalty. Does CanIRank give your site a Ranking Probability above 85%? Are most of your Ranking Factor scores higher than the existing rankers, and none of them significantly below the Ranker average? If so, it's a good indicator that a penalty may be holding you back. If CanIRank gives you a low Ranking Probability score or your scores in one or more Ranking Factors are low, that's probably what's holding you back, and not a penalty at all. If it does look like you might have a penalty issue, the first place to look is any areas where your scores are significantly above the rankers. 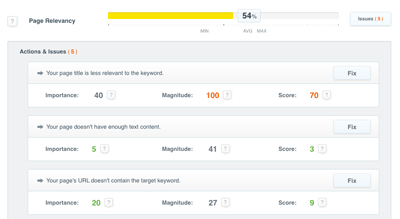 For example, if you have a Page Relevancy score of 99 whilst most of the rankers score in the 60s, you might be overdoing it on the keyword repetition. The most common culprits are Page External Relevancy and Website External Relevancy, which measure the relevancy of your inbound anchor text to the keyword. Whilst some keyword anchor text is necessary, too much keyword anchor text is a primary trigger for Google's Penguin penalty. 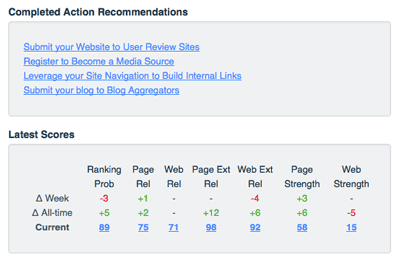 Next, click on your Website Strength score to expand the Ranking Factor details and click on "Link Composition". Compare your Link Composition to that of a top ranker. Do your links come from high quality sites, or just low-quality ones? Do you have a lot of variety amongst the anchor text linking to your page? Does your site have primarily nofollow links, or a normal mix of nofollow and dofollow? Finally, click on the # of links to open up the OpenSiteExplorer page listing some of your links. Are most of the links from unrelated pages? Are there a lot of sitewide links? Are any of the sites linking to you spammy? Reviewing all of the above should give you a pretty good idea of whether or not a site might be suffering from a penalty within a few minutes of research. As for how to cure that penalty, that's a larger topic and a subject for another time! Link building is where many sites get into trouble. Google aggressively cracks down on anything they perceive to be "unnatural" links, but the definition of "unnatural" is changing all the time. Unfortunately, unless you're already a huge brand it's also not really an option to just stop promoting your site and hope links spontaneously appear. CanIRank helps you safely and scalably build links in two ways: first, we give you detailed information about the link profiles of the top ranking sites for your keywords. How much keyword anchor text are they using? What kinds of sites have they obtained links from, and what link building strategies did they use? While there's no guarantee your site will receive the same treatment as the existing rankers, it nonetheless serves as a useful gauge to Google's tolerance for aggressive marketing in that particular niche. 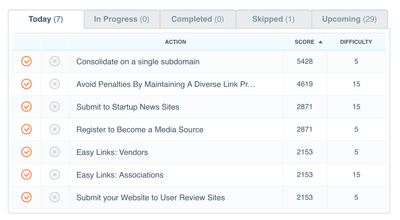 Second, CanIRank helps you achieve greater diversity in your link profile by recommending dozens of different ways for you to build links to your site. Just click the "Fix" button next to any Website Strength Issue and we'll create a link building plan customized to your website and experience level. Keep in mind that search engine penalties are primarily trying to punish and counteract the efforts of bad actors who are trying to manipulate search engine results. Avoiding penalties then, is often a matter of finding the right balance between smart proactive marketing and "manipulation". Exactly where that line is can vary by industry and even keyword. In some niches a high percentage of keyword anchor text is quite common. In others, a handful of keyword anchor texts can be enough to get you penalized. Thus, CanIRank uses the existing rankers as a guide for what is acceptable in any given niche. We'll advise you to grow your keyword relevancy, anchor text, inbound links, etc. until you are comparable to the strongest existing rankers in all areas, but without going too far in any of them. In addition, CanIRank's Action Plans help you stay out of trouble by ensuring that you use a variety of "white hat" SEO and marketing techniques to build up your site. It's never a good idea to rely upon a single SEO tactic for all of your link building or promotion. Even if it doesn't get you penalized, Google may decide to devalue those links in the future, and suddenly all of your work was for nothing. Diversity and moderation are key to avoiding penalties, and these principles underly all of CanIRank's Action Recommendations. Outsourcing can be a great way to reduce the cost of SEO, with a number of reasonably-qualified freelancers on sites like Elance or oDesk willing to perform basic SEO tasks for $10-20/ hr. Unfortunately at this price range few (if any) of the freelancers are experts, so it can be very time-consuming training them to perform the tasks well, ensuring that the tasks they work on are a good fit for the needs of your website, and (most importantly) making sure that they don't "accidentally" detour into the world of low-quality/ spammy SEO tactics that will get your site penalized. CanIRank provides an excellent solution to keeping freelancers on track without requiring daily micro-management. 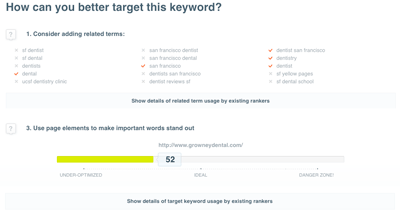 Simply launch an Action Plan for every keyword you're interested in targeting, and CanIRank will analyze your website's needs and generate a number of Action Recommendations specifically tailored to address those needs in the most efficient way possible. Every Action Recommendation includes detailed step-by-step instructions the freelancer can follow, external resources for them to learn more, and a glossary to explain any specialized terminology. There's also a commenting feature so the freelancer can ask you for additional information, and you can provide additional guidance to complement the standard Action steps. 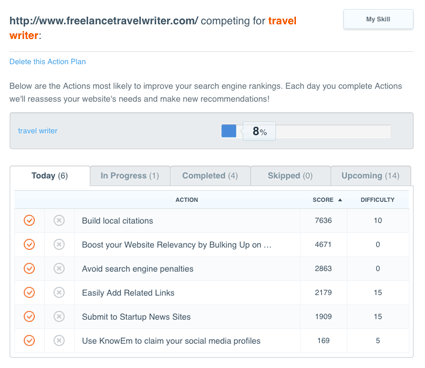 Every week you'll receive a complete reporting of all the Action Recommendations completed by your freelancer, which tasks are waiting on information from you, and which Actions are coming next. You can also track the impact completing those Actions had on key metrics such as new rankings, ranking changes, Website Strength, and links earned. CanIRank's Action Plans are a lot like traditional task management software, except the tasks are automatically populated based upon the needs of your website, and the impact of those tasks is reported right beside task progress. It's a perfect "hands-off" system for ensuring freelancers stay on track and execute each of their tasks well. Many SEO consultants follow a standardized checklist for every new SEO campaign. But every website is different, and every keyword is different. Sometimes a site has plenty of links, but their content doesn't address the keyword topic adequately enough. Other pages do a fine job with targeting, but lack keyword-relevant anchor text. Still others lack the Website Strength to rank regardless of how great their content is. In order to get results quickly, and avoid wasting money on unnecessary (and potentially even damaging) SEO work, you need to understand what the specific needs of your website are for each keyword that you're targeting, and which actions will have the greatest impact on those actions without incurring undue risk. This is exactly the process CanIRank goes through to generate a customized Action Plan. We pull Action Recommendations from our database of several hundred possible Actions according to how much they'll help improve your site's specific issues. Many Actions build upon one another, so that as you advance through the Action Plan you'll be giving increasingly sophisticated tasks to complete. Finally, all Action Recommendations are managed to ensure diversity and balance in the SEO tactics you employ, to minimize the impact of future algorithm changes and ensure you maintain a natural link profile. Hiring an SEO consultant shouldn't feel like a visit to an auto mechanic: "Sorry, it looks like your rear discombobulator disc has jittered the flux capacitor, which is why you're getting that squeaking noise, and uh, that'll be $1200 bucks." You have a right to know what's being done and how it's going to help your rankings. This is especially important these days as Google has increasingly cracked down on overly aggressive SEO tactics, meaning that SEO consultants who are behind the times could actually be doing your site more harm than good. CanIRank helps close the knowledge gap between you and SEO experts. 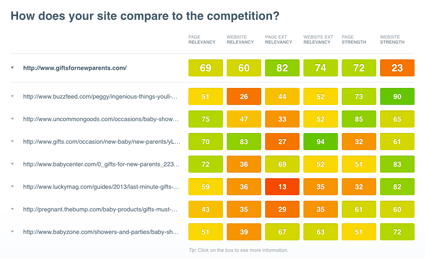 We explain in plain English what's keeping your website from ranking, where you fall short of the competition, and what you can do to close that gap. 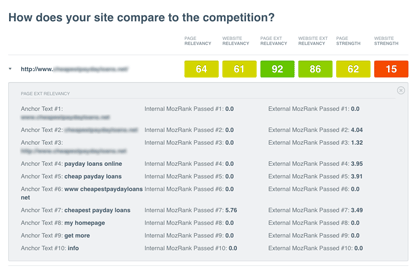 Many find CanIRank's reports are a great way to figure out which SEO consultants know what they're talking about, and which ones are simply out to get your credit card info. Look at the Competitive Analysis table to see where your site is weak relative to the competition: "Hey, it looks like my Website Strength is lower than most of the other sites ranking for this keyword. What are some ways you could help address that?" Review what existing rankers are doing well, and ask how you can do the same: "I noticed RadWidgets.com has a lot of great links -- can we adopt any of the strategies they're using?" Ask for specific strategies for improving each of your highest-scoring Issues: "What are some good ways to add more topical content to my website?" Once you've chosen a consultant, use CanIRank to monitor the impact of their work. Each week CanIRank will email you a Campaign Progress report showing your improvement in each major ranking factor, as well as new keyword rankings and changes in your existing rankings. Finally, CanIRank's keyword research tools can help you keep your consultant's efforts focused on ranking for terms that will bring maximum value for your business. 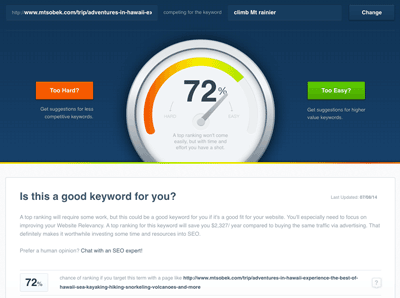 Our Keyword ROI score shows you which keywords will deliver the most targeted visitors, while still remaining obtainable for your website. 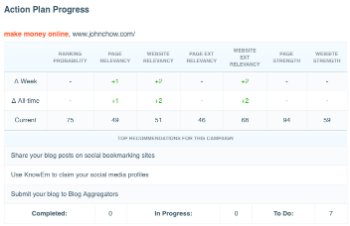 The High Potential list shows you existing pages where you have the most to gain by making improvements. Clients want to see progress right away, but as a smart SEO you know the slow and steady approach is the safer, more sustainable path to SEO nirvana. So how can you convince clients that you're the real deal while that guy he found on Craigslist promising page 1 rankings in 15 days is just going to end up getting him penalized? The answer of course is client education— the client needs to understand the fundamentals of what improves rankings, and how your efforts are improving them. CanIRank is a wonderful tool to help clients understand that improving rankings is about more than just links (or keyword repetition, or anchor text, or whatever else they might have heard), giving them an easy-to-understand overview of the major ranking factors without getting bogged down in vernacular or paradoxes like why 10 good links are sometimes better than 3,000 bad ones. We've found that the best way to motivate clients is to engage their competitive instincts. CanIRank's detailed Competitive Analysis shows at-a-glance exactly where they fall short of the top ranking sites, and allows you to drill down into specifics like on-page keyword usage, anchor text, or inbound links if more detail is necessary. Once the client understands what their site's weaknesses are, they're much more likely to be on board with your long-term efforts to improve the site in those areas, even if ranking improvements aren't immediately forthcoming. CanIRank tracks improvements in 6 major Ranking Factors, so you can show how your PR campaign resulted in a 20% improvement in Website Strength, or the new Resources section improved Website Relevancy by 45%. These Ranking Factor scores are an important gauge of SEO improvements, since as we all know it can sometimes take a while for Google rankings to catch up to site improvements. Keyword Research is one of the most essential SEO tasks, but also one of the most time consuming. First, you need to build a huge list of keyword possibilities, including semantic variations, alternatives suggested by search engines, keywords your competitors are targeting, and your own existing rankings that could be improved. Typically this requires 3 or 4 different tools to do well. Next, you need to collect search volume and advertiser cost-per-click for each of those keywords, so you can figure out which ones will bring the most value to your business. Finally, you need to conduct a thorough competitive analysis, assessing the strength of top ranking sites for each keyword to determine keyword difficulty and whether or not your site is competitive. Last but certainly not least, CanIRank will conduct a thorough Competitive Analysis for any keywords that meet your criteria, collecting over 200 data points on each competing URL and using our ranking models to calculate a Ranking Probability score that is over twice as accurate as other SEO metrics. One of the biggest trends in search right now is meaning-based search. Google's recent Hummingbird update and launch of the knowledge graph were important steps along the path towards search engines that look not at specific words but at the overall meaning behind the words. Google considers this technology critical for maximizing ad revenues on mobile and voice-activated search, so you can bet the trend will continue for the foreseeable future. For SEOs, becoming "relevant" in the era of semantic search requires much more than simply repeating variations of your target keyword. The highest performing content will reinforce its relevancy by addressing the entire conceptual universe surrounding a keyword. For example, a page about Yosemite National Park might include information about Yosemite hotels, Yosemite camping, El Capitan, Half Dome, Yosemite hiking, the Ahwahnee, and perhaps John Muir. Google understands that each of these entities and keywords are closely related to the "Yosemite National Park" entity, and that anyone searching that will also be interested in information on them. Moreover, the presence of these supporting entities on the page helps Google be certain that the page is about Yosemite National Park, and not, say, Yosemite Sam or OS X Yosemite. While the technology behind semantic relationships is complex, optimizing your site for it needn't be. CanIRank does all the heavy-lifting for you, identifying which related terms are most important for establishing your conceptual relevancy for any given keyword. In addition, we show you which related terms the top rankers are using most frequently, because sometimes "the proof is in the pudding" and your best strategy is to stick with what's working well! In the previous 5 years, the amount of data available to marketers has grown enormously: tweets, shares, likes, links gained and lost, new rankings, ranking increases and decreases, MozRank, PageRank, Page Authority, Website Authority, indexed pages, indexation rate, error rate, click-through-rates, conversion rates, churn rates, open rates... The list goes on and on. With so many tools at our disposal, the challenge is no longer getting enough information, it's deciding which information to act upon with our limited time available. CanIRank makes this easier by monitoring dozens of key SEO metrics from the most popular tools, and highlighting your best opportunities and biggest accomplishments every day. Use the Opportunities if you need help deciding where your work will have the biggest positive impact. Accomplishments provide an easy way to keep clients or management informed about all the great things you're doing, with hard numbers demonstrating the tangible ROI of new and improved search engine rankings. Rank tracking is still a key SEO tool for many marketers, but it has many shortcomings. Real value comes not from rankings but from additional traffic and sales. CanIRank helps you connect the two with a smarter rank tracking solution that just works. First, if you're like most marketers, you're probably interested in ALL of your valuable keyword rankings, not just a small subset. Traditional rank tracking tools require you to manually enter every keyword you'd like to track. But what about that new keyword you didn't even mean to target which suddenly starts sending thousands of visitors? Wouldn't you like to be able to report that success to your client? CanIRank automatically searches out your most valuable keyword rankings, and tells you how much each ranking is worth to your site in terms of additional visitors and saved advertising cost. Then we go one step further: we make the data actionable by telling you which existing rankings offer the greatest potential, and calculate how much you'd gain by moving up to the #1 position. With 1 click you can get a complete list of things you can improve on the ranking page so that you can turn that potential into a reality. Of course we also help you correct mistakes by notifying you of any ranking decreases (again, with 1 click to get a list of suggested improvements). Last but not least, we help you celebrate your wins by notifying you of new rankings and ranking increases, while calculating how much each of those improvements is worth to your business.